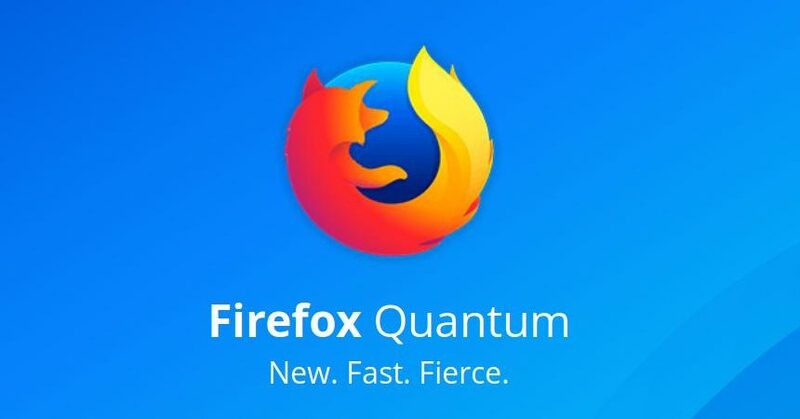 Firefox Quantum is probably the single biggest update to Firefox in the browser’s 13 year history. 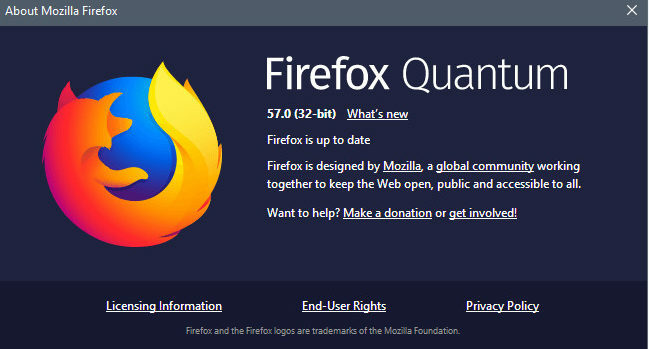 It is ‘One of the biggest updates to Firefox in the browser’s 13 year history‘. 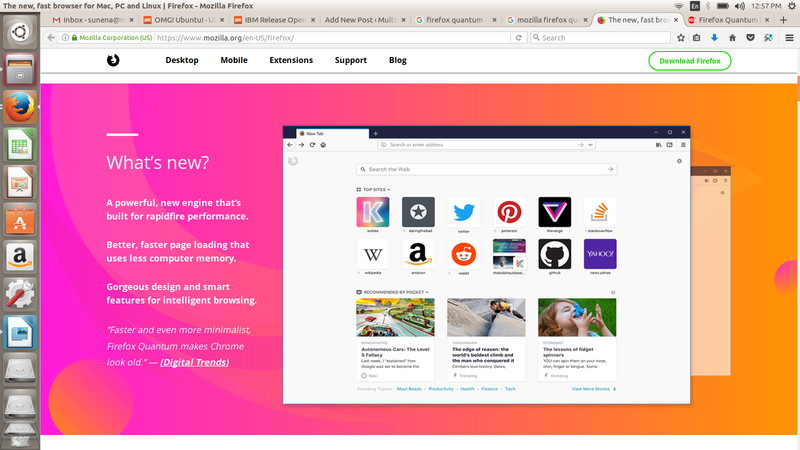 When it comes to the new better look of Firefox update, the new angular visual refresh, dubbed Photon, is clean, light and responsive. The Photon refresh extends to virtually every part of the UI, form the spacing of menus and the color of toolbar icons to transitions and tab loading animations. Also, the squared tabs, redesigned toolbar icons, and revamped menus is one striking change: a combined, centre-aligned address & search bar. 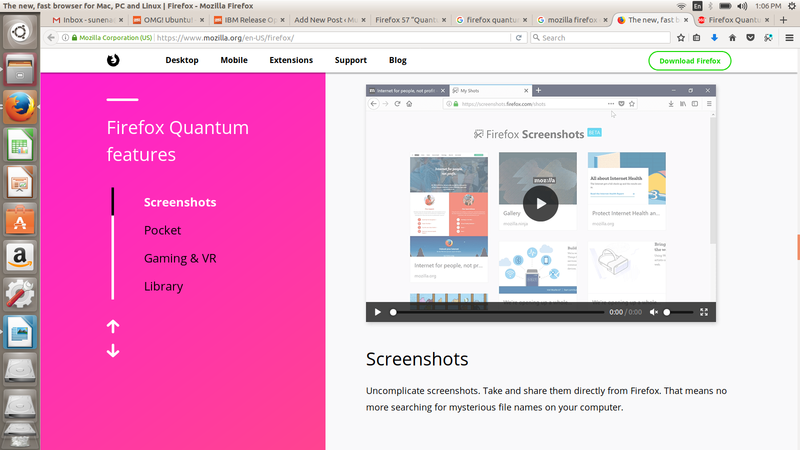 A couple of new features are introduced that includes a new “Firefox library” and “Screenshots”. And, there is also a totally redesigned new tab page that makes far more efficient use of space than the old “speed dial” approach, and some helpful “highlights” from recent web searches and articles being shared on the Pocket. While talking about the Pocket ,it’s save button has been moved out of the toolbar and into the new combined address/search bar. 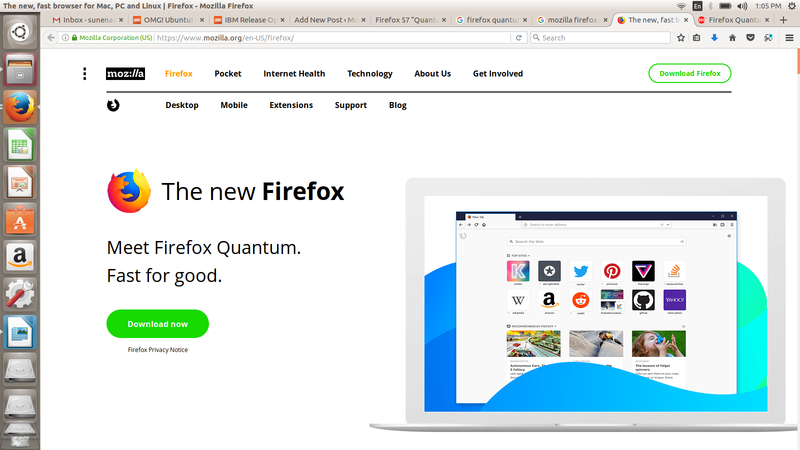 All in total Quantum gives an all-new look and feel to Firefox. Moving on to the faster performance Mozilla Firefox Quantum is 2x as fast as compared to the last year’s Firefox 49, and uses 30% less memory than Google Chrome. Well, it’s mainly due to the all-new CSS engine called ‘Stylo’, true multi-process architecture, the new elements in setting tab priority and more. All of the changes create a new Firefox. 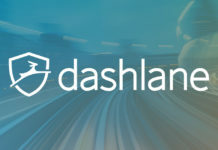 The fact that many much loved Firefox add-ons will no longer work with the browser makes it a more stronger and reliable extensions framework. Well, How to get Firefox on Ubuntu? Firefox > About and clicking the update button. Ubuntu users will receive an automatic upgrade to Firefox 57 on Ubuntu 14.04 LTS, 16.04 LTS and the latest Ubuntu release, 17.10 . Next articleLumina 1.4.0 — What’s New?